Plot: Miles Morales is juggling his life between being a high school student and being Spider-Man. However, when Wilson "Kingpin" Fisk uses a super collider, another Spider-Man from another dimension, Peter Parker, accidentally winds up in Miles' dimension. As Peter trains Miles to become a better Spider-Man, they are soon joined by four other Spider-Men from across the "Spider-Verse". As all these clashing dimensions start to tear Brooklyn apart, Miles must help the others stop Fisk and return everyone to their own dimensions. Since this one is also upcoming and we're seeing trailers now I figured we should have a thread. Looking forward to this if for no other reason than Peter Porker. Really liked the bit I saw at the end of Venom. It's quite the nice looking bit of animation. I'm not sure if it's been done before or not, but I was genuinely surprised and awestruck, which doesn't happen very often. Let's be honest here, it's a black superhero. 90% of it could be a literal steaming turd on-screen and RT would still have it at 90+% rating. isnt miles morales a Dreamer? He's part Dominican as I recall. I remember thinking back when the character was created "Its not enough that hes black, they got to check off the latino box too"
Not up to date with the lingo, so dunno what dreamer is, but I believe his father is black and his mother is latin. My only real exposure to his character other than random references is through the PS4 Spidey game. Just got back with the wife and kids and everyone loved it. It's kinda different but there was a lot of nods to other spider man stuff for those that are fans of the comics and movies. I think it had a great story and the characters were incredibly well done. Naturally it doesn't feel like the movies and isn't on the level of the top tier MCU stuff but it's definitely worth the watch especially with kids. I really liked this movie. The animation and art style was amazing. any SJ shoved down your throat? 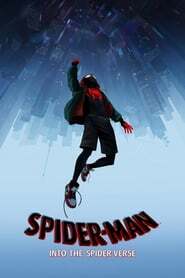 I haven't quite decided, but between the story, animation styles and music, this is probably my favorite super hero movie of the year. Regarding the above article, the movie could definitely be described as "extremely black", if youre a person who wants to do that sort of thing. Of course, it's a movie primarily about a black-puerto rican kid from brooklyn, so the music, his family, his hobbies, etc are all things you would expect from a black kid. So it's not a "LOOK HOW BLACK WE ARE" movie, its just a movie about a black kid that didn't temper itself. If youre a person who just watches a movie, I'd doubt you would even notice, one way or the other. I certainly didn't until I read that article and thought about it and decided to make this post saying to not worry about it being anything other than a damn good Spider-Man movie. I didn't get that vibe at all. They keep everything culturally relevant when you're focusing Miles and/or his family but there's nothing forced or anything like that.... at least I didn't pick up on it. I had read different things so I was looking for it but I didn't find it. Again, I don't think it's fair to rank it anywhere in the MCU but I enjoyed it much more than the bottom tier MCU movies. If I "had" to put it somewhere, it would be in the middle of the pack probably maybe in the top middle tier. Damn good movie--good story, good animation style, pretty much good everything. And for those asking, no, there's not really anything that I'd label "SJW," or anything like that. Might also be one of my favorite post-credit scenes. I really liked this one. I've never seen anything quite like it - the way they just went with a heap of different animation styles at the same time with zero fucks given was really unique.